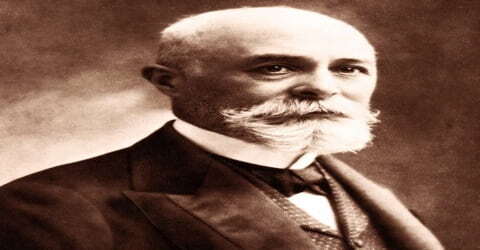 Henri Becquerel – French engineer, physicist, Nobel laureate. A French physicist who discovered radioactivity through his investigations of uranium and other substances, Henri Becquerel was born in Paris on December 15, 1852, a member of a distinguished family of scholars and scientists. In 1903 he shared the Nobel Prize for Physics with Pierre and Marie Curie. He was a member of a scientific family extending through several generations, the most notable being his grandfather Antoine-César Becquerel (1788-1878), his father, Alexandre-Edmond Becquerel (1820-91), and his son Jean Becquerel (1878-1953). Becquerel belonged to a family of scientists and scholars. Both his father and grandfather were scientists, which is why it almost seemed like a natural progression for him to follow in their footsteps once he started attending his formal training in scientific studies at some of the best institutes in Paris. After completing his engineering degree he took up a job and at the same time he was deeply involved in phosphorescence research. Later, he directed his research towards discovering new radioactive elements. His research in the field of radioactivity won him the Nobel Prize for Physics in the year 1903. Henri Becquerel was deeply associated with the National Museum of Natural History when his father was the chair of physics and following his stellar work as a researcher he became the chair of physics at the same institution. Becquerel is without doubt one of the greatest physicists in the field of radioactivity and the world of science will forever be indebted to him. Henri Becquerel, in full Antoine-Henri Becquerel (French: ɑ̃ʁi bɛkʁɛl), was born to Alexandre-Edmond Becquerel and Aurelie Quenard in Paris, France, on 15 December 1852. His father was a scientist and employed as a professor of Applied Physics. He belonged to a family of distinguished scholars and scientists. Becquerel started off his education by attending the Lycée Louis-le-Grand School, a prep school in Paris. He studied engineering at the École Polytechnique and the École des Ponts et Chaussées. In 1874, Henri married Lucie Zoé Marie Jamin, who would die while giving birth to their son, Jean. In 1890 he married Louise Désirée Lorieux. Henri Becquerel married a woman called Janin and the couple had only one child, a son who was born in 1878. His son was named Jean Becquerel and he went on to become a scientist as well. Becquerel then married Louise Désirée Lorieux in 1890. Upon graduating from the Ecole des Pontes at Chaussees in the year 1877; the Department of Bridges and Highways of the French Government appointed him as an engineer. Henri Becquerel continued to work at this department in spite of being involved in advanced scientific research for much of his career. 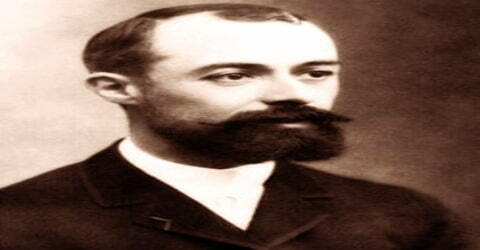 In addition to his teaching and research posts, Becquerel was for many years an engineer in the Department of Bridges and Highways, being appointed chief engineer in 1894. His first academic situation was in 1876 as an assistant teacher at the École Polytechnique, wherein 1895 he succeeded to the chair of physics. Concurrently, he was an assistant naturalist to his father at the museum, where he also assumed the physics professorship upon his father’s death. Around the time that Becquerel had been appointed a teacher at the Ecole Polytechnique, he also became actively involved in the National Museum of Natural History in Paris and was engaged in helping his father, who was then head of physics at the museum. Becquerel became the physics chair of the Museum in 1892. Becquerel’s earliest works centered on the subject of his doctoral thesis: the plane polarization of light, with the phenomenon of phosphorescence and absorption of light by crystals. Early in his career, Becquerel also studied the Earth’s magnetic fields. His discovery of spontaneous radioactivity is a famous example of serendipity, of how chance favors the prepared mind. Becquerel had long been interested in phosphorescence, the emission of light of one color following a body’s exposure to light of another color. By 1896 Becquerel was an accomplished and respected physicist a member of the Académie des Sciences since 1889 but more important than his research thus far was his expertise with phosphorescent materials, his familiarity with uranium compounds, and his general skill in laboratory techniques, including photography. Together, these were to place the discovery of radioactivity within his reach. In early 1896, there was a wave of excitement following Wilhelm Conrad Röntgen’s discovery of X-rays on the 5th of January. During the experiment, Röntgen “found that the Crookes tubes he had been using to study cathode rays emitted a new kind of invisible ray that was capable of penetrating through black paper.” Learning of Röntgen’s discovery from earlier that year during a meeting of the French Academy of Sciences caused Becquerel to be interested, and soon “began looking for a connection between the phosphorescence he had already been investigating and the newly discovered x-rays” of Röntgen, and thought that phosphorescent materials, such as some uranium salts, might emit penetrating X-ray-like radiation when illuminated by bright sunlight. The phenomenon was found to be common to all the uranium salts studied and it was concluded to be a property of the uranium atom. Finally, Becquerel showed that the rays emitted by uranium caused gases to ionize and that they differed from X-rays in that they could be deflected by electric or magnetic fields. In this way, his spontaneous discovery of radioactivity occurred. During 1896 Becquerel published seven papers on radioactivity, as Marie Curie later named the phenomenon; in 1897, only two papers; and in 1898, none. This was an index of both his and the scientific world’s interest in the subject, for the period saw studies of numerous radiations (e.g., cathode rays, X rays, Becquerel rays, “discharge rays,” canal rays, radio waves, the visible spectrum, rays from glowworms, fireflies, and other luminescent materials), and Becquerel rays seemed not especially significant. The far more popular X rays could take sharper shadow photographs and faster. It required the extension in 1898 of radioactivity to another known element, thorium (by Gerhard Carl Schmidt and independently by Marie Curie), and the discovery of new radioactive materials, polonium and radium (by Pierre and Marie Curie and their colleague, Gustave Bémont), to awaken the world and Becquerel to the significance of his discovery. Nowadays it is generally considered that Becquerel discovered radioactivity by serendipity. It is also known that Becquerel discovered one type of radioactivity, beta particles, which are high-speed electrons leaving the nucleus of the atom. He demonstrated in 1899 that beta particles were the same as the recently identified electron. From handling radioactive stones he noted that he developed recurring burns on his skin, which led ultimately to the use of radioactivity in medicine. Later in his life in 1900, Becquerel measured the properties of Beta Particles, and he realized that they had the same measurements as high-speed electrons leaving the nucleus. In 1901 Becquerel made the discovery that radioactivity could be used for medicine. Henri made this discovery when he left a piece of radium in his vest pocket and noticed that he had been burnt by it. This discovery led to the development of radiotherapy which is now used to treat cancer. Becquerel also authored detailed studies of the physical properties of cobalt, nickel, and ozone. He studied how crystals absorb light and researched the polarization of light. In 1900, Henri Becquerel won the Rumford Medal for his discovery of the radioactivity of uranium and he was made an Officer of the Legion of Honour. The Berlin-Brandenburg Academy of Sciences and Humanities awarded him the Helmholtz Medal in 1901. The Nobel Prize in Physics in 1903 was shared by Henri Becquerel, Pierre Curies and Marie Sklodowska-Curie. In 1905, Becquerel was awarded the Barnard Medal for Meritorious Service to Science by Columbia University. 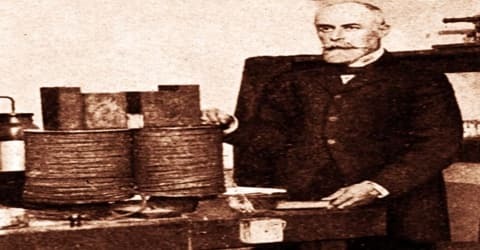 Henri Becquerel was engaged in scientific research for the better part of his adult life and during that time he not only came up with a lot of new findings but also held some important positions that led to further great work. However, nothing can really come close to his work on radioactive elements that won him the Nobel Prize. The unit of radioactivity, the becquerel (symbol: Bq) is named in his honor. 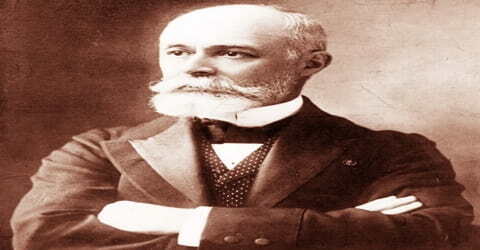 Besides being a Nobel Laureate, Henri Becquerel was elected a member of the Academe des Sciences de France and succeeded Berthelot as Life Secretary of that body. He was a member also of the Accademia dei Lincei and of the Royal Academy of Berlin, amongst others. He was also made an Officer of the Legion of Honor. Becquerel published his findings in many papers, principally in the Annales de Physique et de Chimie and the Comptes Rendus de l’Academie des Sciences.